Ladies and gentlemen, children of all ages step right up and get your tickets to the greatest show on earth… a thrashing metal band fronted by two women. Wait, what? Women don’t sing for bands this heavy do they? A few years ago, when the Butcher Babies emerged onto the metal scene that was most people’s reaction. Some people were quick to write them off due to this and automatically chalk them up as girl rock. The band refused to just sit back and accept this and put in countless days and miles touring relentlessly to show just what they do. They were one of the biggest drawing bands at Mayhem fest and other summer festivals and finally delivered their long awaited full length release, Goliath, in 2013. Here we are now with their second release, Take It like a Man. I for one was anxious to see how the band would progress from their first release. I felt the first album was all over the place; it had its hits and its misses for sure and felt very scattered. They waste very little time with this album with the opening track, “Monsters Ball”, and its stomping beat and catchy chorus. This song is definitely meant for the live shows as it packs tons of energy. They keep things moving pretty much nonstop from start to finish. Things feel very cohesive this time around as one track flows right into the next. The band finally offers up a breather on the track “Thrown Away” which shows a different side of their vocals. The clean singing offered up on this track works very well and it gives the band a new dimension to explore with their music. Once you’ve collected yourself and got your heart rate back to normal the band rips right back into the aggression with the second single, “Never Go Back”. The album is highlighted here at the end of the album by back to back tracks, “Blood Soaked Hero” and “Dead Man Walking”. Both back raw aggression and killer riffs that had me sitting here bobbing my head and ready to start my own personal pit in my living room. 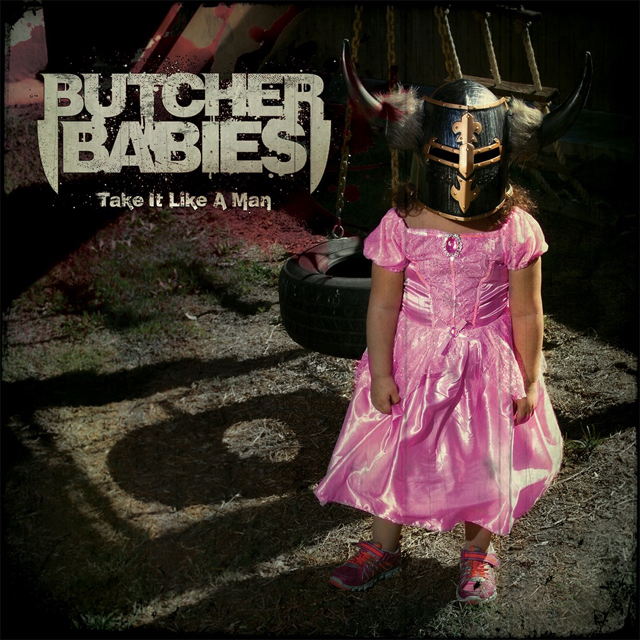 This album is the most complete work to date from the Butcher Babies. There really wasn’t a bad track on the album and I found very easy to listen to on repeat. It should help sway more of the metal community that has been sitting on the fence on whether or not it was “cool” to like this band. This album rocks, and there is no doubting that.